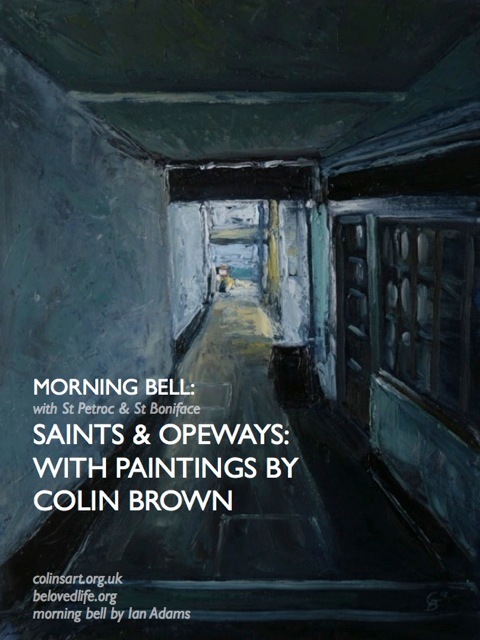 I’m really pleased to be collaborating with Cornwall-based artist Colin Brown on the next series of morning bell. Colin paints in oils, and his most recent work has been done in his home-town of Falmouth. He calls this set of paintings ‘Opeways‘ and explains that ‘Falmouth has many historic passages that link the main streets with the quays. The Cornish name ‘Ope’ derives from ‘opening’, and the paintings of these portray a sense of journey’. Colin’s Opeways paintings are being exhibited from 4-15 June at Stuart House Liskeard, Cornwall.